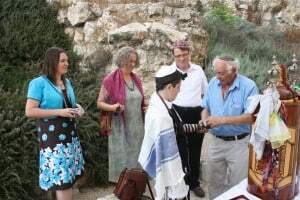 A Bar Mitzvah in Israel or a Bat Mitzvah in Israel is a very special event for your child and family. We create a custom itinerary with teen-oriented activities such as cave exploration, all-terrain vehicle rides, hot air balloon flights – to give that added WOW factor to your family tour of Israel. The ceremony for your child can be as simple or lavish as you wish, in a choice of locations. Each event and family tour is designed to meet your needs, religious background, and time frame.